Eggs in Imperial Russia was a traditional gift from the Tsar to his most trusted subjects symbolizing love and new life. 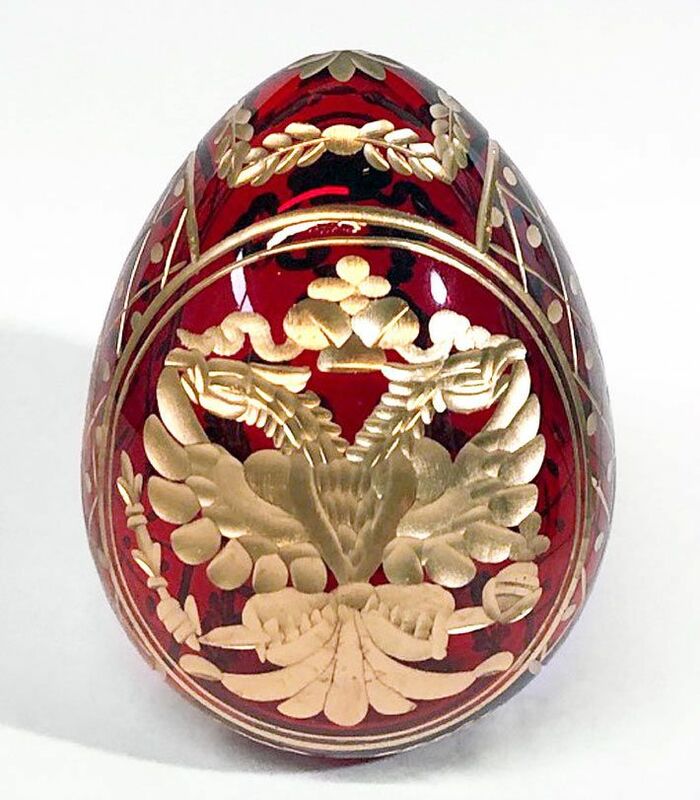 Hand etched royal symbols, floral and geometric designs on crystal eggs crafted by the Imperial Porcelain Factory of St Petersburg were often a gift. Each crystal egg is made in Russia and etched in St Petersburg, Russia. The pictures show both sides of this very special egg.